Liquor Plus is an Vancouver Island owned and operated full service group of liquor stores that has been providing expansive selection at everyday value prices since 2002. 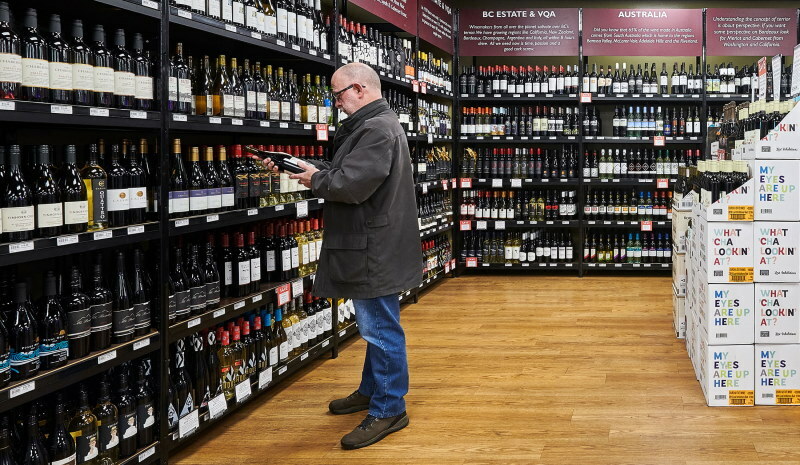 In the spring of 2002 the British Columbia Government announced that liquor retailing was not part of their core services and that they would be phasing out government-run BC Liquor Stores. The plan was to continue to provide service to the market until the private sector grew enough to shoulder the burden. The catalyst was in place to change the BC liquor industry forever. The first step was to create a vision of what the new company would offer. In 2002, people really only had two options: BC Liquor Stores and a handful of stores referred to as beer and wine stores. BC Liquor Stores serviced most of the market, but customers felt they lacked the expected level of service. Beer and Wines stores, on the other hand, featured high prices and limited selection. The thought was, as it is today, that providing an alternative to BC Liquor Stores and Beer and Wine stores that provided high levels of service, product knowledge, and broad and unique selection, all at competitive prices would be embraced by the consumer. Armed with this vision, and the location restrictions of the time, partners Brett Large and Randy Wilson set about opening the first Liquor Plus store on the former site of the infamous Ingraham (‘Ingy’) Hotel. In December of 2003 BC’s largest privately held liquor store featuring trained staff and competitive pricing, opened. Liquor Plus Douglas changed the way other privately held liquor stores approached their business. Premised on the success of Liquor Plus Douglas, October of 2004 saw Liquor Plus Saanich open its doors in the Saanich Centre at Quadra & McKenzie. Right on the heels of our Saanich location was Liquor Plus Royal Oak, which opened its doors in December of 2004 in the Royal Oak Shopping Centre on West Saanich Road. The three stores were continuing to impact the market and serve an ever growing customer base, which led to the desire to expand again. Liquor Plus Duncan opened in December 2009. Liquor Plus Duncan is the next generation in liquor store layout as it employs signage and decor innovations not before seen in liquor stores in BC, public or private. The design of Liquor Plus Duncan was so well received that the look has been adopted into the renovations at Liquor Plus Royal Oak. March 2010 saw the opportunity to add to the size of Liquor Plus Royal Oak and apply what we learned in terms of design and layout in Duncan to our Royal Oak store. Then, as of April of 2011, we opened up our 5th retail location, Liquor Plus Cobble Hill, in the Cowichan Valley, and a little over a one year after that we added our first location in northern Vancouver Island in Courtenay. So, what’s next? Good question! Stay tuned, as our vision continues to grow!